Technology has given us a large number of discoveries that are truly a blessing. Each and every moment of your life is connected and dependent on the miracles of the modern technology that help us lead a simplified and lavished life. Modern day traveling has also become very much different and amazing because of the technological advancements. From searching a flight to calculating the distance, everything can be done easily within a fraction of seconds, all thanks to technology. Traveling would have not been so easier had there been no technological development at all. But did you know that there are some more hacks that can make our journey happier? If not, then you need to take a look at this list of must-have apps which have been designed to make your travel convenient. You’ll need them at every point of your journey and they’ll be with you till the end of our trip. Gate Guru: This app named Gate Guru, is designed keeping in mind all the pros of a frequent traveler. 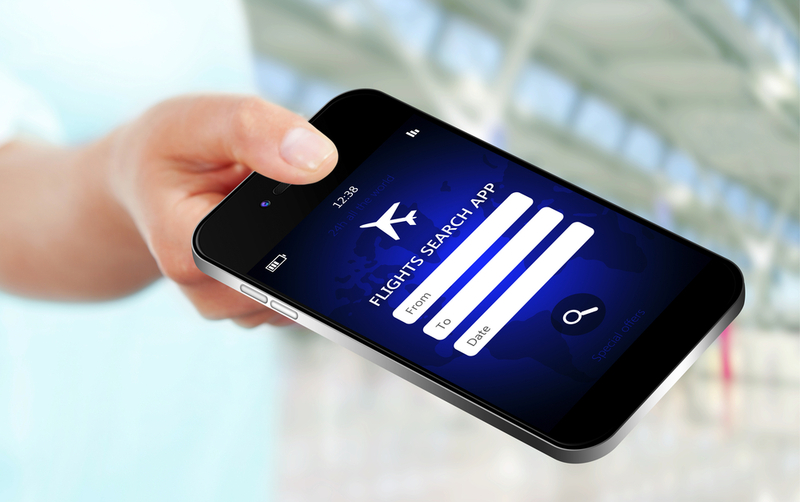 From finding the status of your flight to the amenities and detailed itinerary, the app allows you to keep a track of all these things and many more. The navigation on the home screen allows you to find the nearby hotels, restaurants and even guides to the terminal. Isn’t what you are looking for? Don’t forget to install it on your smartphone before leaving for the trip. Maplets: A traveler’s guide is the maps that take him to the desired destination, but unfortunately it is not easy to carry them all. To make your travel more convenient, Maplets app has a large database of maps that help you in finding the way to your destination and airports, thus saves you from getting lost. The best part of this app that it allows you to download the maps offline also. No matter where in the world you are traveling, Maplets will always be there for your help. JetRadar: For a frequent traveler, budget is an important and critical factor that makes him/her plan further trips. But what if you get a comparison of the best prices available? Yes, you read it right. JetRadar is an application that helps you in taking a budget friendly trip by comparing the prices of flights on different sources and also know about the currency exchange prices. On the whole, it is a perfect solution for taking a hassle-free travel. The comprehensive approach of the app makes it a reliable source. Seat Alerts: The joy of traveling lies more in the journey than that of the destination and for a frequent flyer, it is the soul of their vacation. Seat alert is an app that helps you take a better trip by providing notifications about the number of seats occupied and vacant. You can book your seat accordingly and thus increases the chances of enjoying your journey in a different way. Do not forget to get the app to get your favorite window seat. Get these travel apps today and head to that much-needed break. Also, do not forget to browse through Travelation for cheap airline flights.